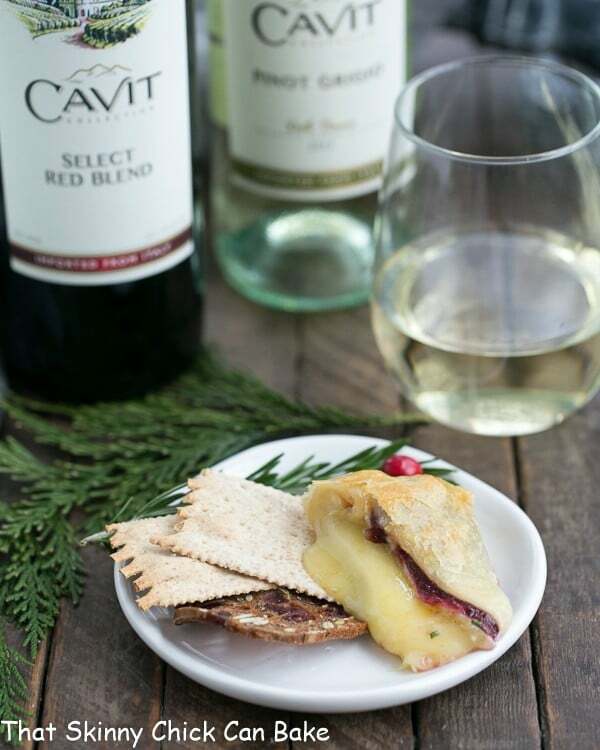 Around the holidays, a festive baked Brie is the perfect appetizer. This irresistible Cranberry Brie en Croute is topped with herbed cranberry sauce and wrapped in flaky puffed pastry. 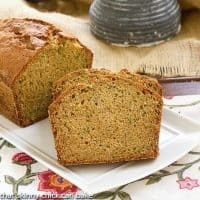 I know I’ve developed a winning recipe when I get the picky husband to eat a food he claims to despise (actually he fibs and says he’s “allergic”). After decades of marriage, I finally witnessed him ingest cranberries! He’s snubbed my holiday Cranberry Fluff Salad for years. Sigh. Yes, he was a huge fan of this baked brie. I served cranberry Brie for our holiday cookie exchange, where it nearly disappeared. But there were enough leftovers so Bill could make himself a few nibbles before dinner. 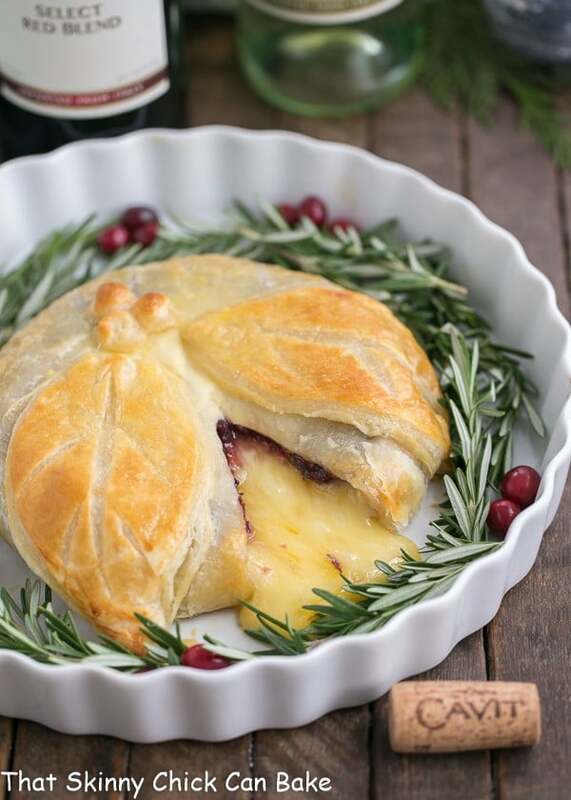 There are SO many amazing Baked Brie Recipes to try if cranberries really aren’t your thing. Yes, this is just THAT good! Plus, it tasted amazing with a glass of Pinot Grigio. 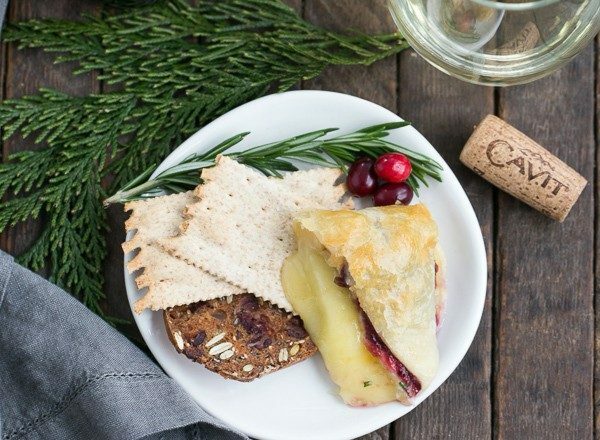 The crisp, refreshing citrus and green apple undertones paired exquisitely with this Cranberry Brie en Croute. Carefully cut the rind off the top of your Brie. This will be the top side when you bake. Roll and cut out a round of puff pastry which is big enough to totally encase the cheese. Add the topping to the center of the puff pastry. Place the Brie, cut side down, over the the topping. Fold the pastry over the cheese, making sure it’s all covered (you can patch with scraps if needed). Use an egg wash to seal the creases. Once sealed, flip back over and brush with egg wash. If desired, cut out decorative shapes with leftover puff pasty. “Glue” them on the top with egg wash, then brush with egg wash.
PRO-Tip: I chill the uncooked wrapped Brie for about 20 minutes, so the puff pastry is cold. Then bake in a hot oven. Puff pastry “puffs” more efficiently when the dough is cold and the oven is hot. Wait at least 20 minutes before cutting into the Brie so the cheese can firm up slightly. Bon appetit! 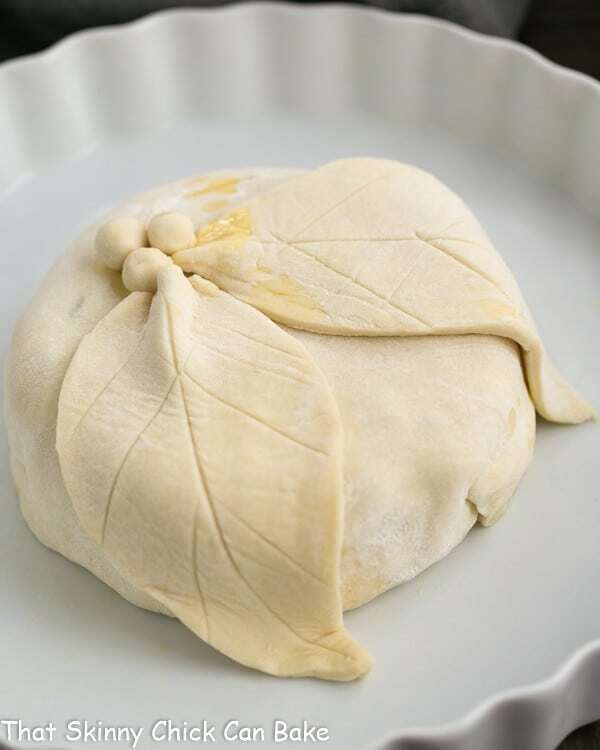 An elegant Baked Brie recipe that’s perfect for any gathering! Preheat oven to 400º. 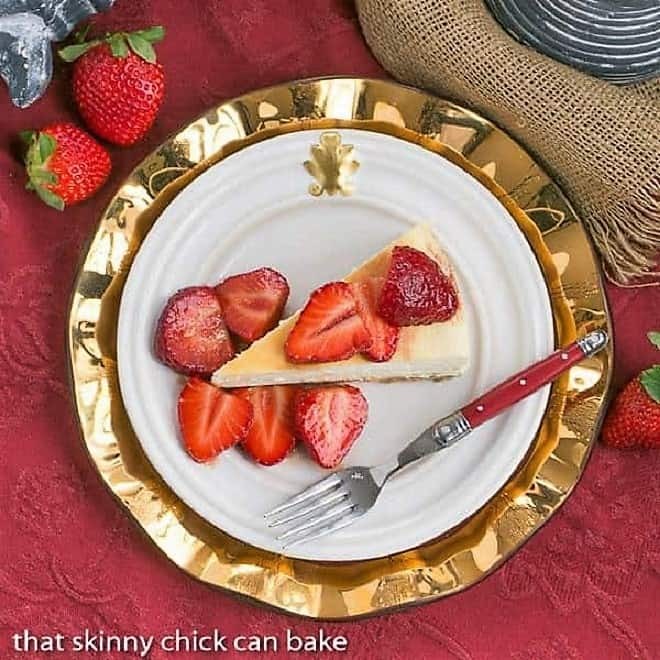 Line baking sheet with [easyazon_link identifier="B00K282KY4" locale="US" tag="thskchcaba-20"]parchment paper[/easyazon_link] and set aside. Roll out puff pastry to smooth seams. Cut out a large round and place on [easyazon_link identifier="B00282JL7G" locale="US" tag="thskchcaba-20"]baking sheet[/easyazon_link]. Reserve scraps to decorate, if desired. Cut rind off the top of the Brie. Mix together cranberry sauce, dried cranberries and rosemary. Spoon over the center of the puff pastry round. Place the cut side of the Brie centered over the cranberry sauce. Fold puff pasty over the top of the Brie sealing overlapping pastry with egg glaze. Flip over and place on a parchment lined baking sheet. [easyazon_link identifier="B000JPSI8C" locale="US" tag="thskchcaba-20"]Brush[/easyazon_link] with egg mixture, decorate with scraps cut into shapes (I made leaves and berries), brush with egg wash again. Bake for about 25 minutes. Cool for 30 minutes before serving. Serve with crackers or toasts. *This was the weight of the Brie I purchased. 8 or 16 ounce rounds will work, too, but the number of portions will vary. 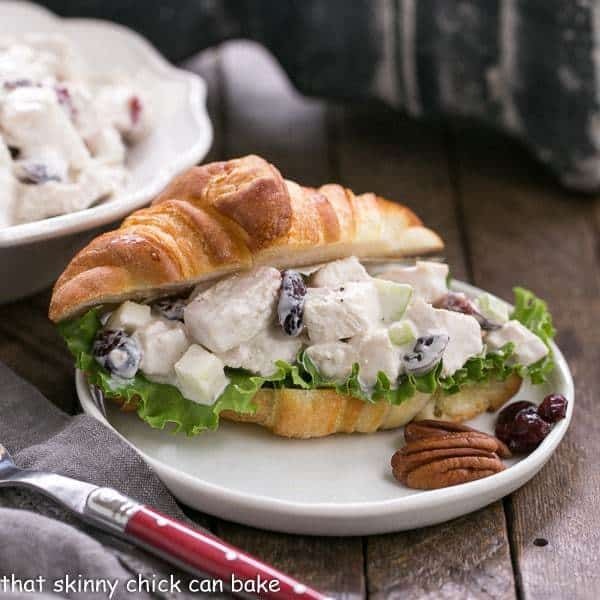 You may need to use less of the cranberry topping with a smaller Brie or make two! 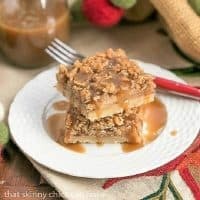 Absolutely heavenly and perfect for the holidays! If Mr. Picky Eater approves, you know it has to be good. 😀 Merry Christmas. It looks so elegant, like from a restaurant! Great tips Liz! I love the addition of dried cranberries and the cut outs! 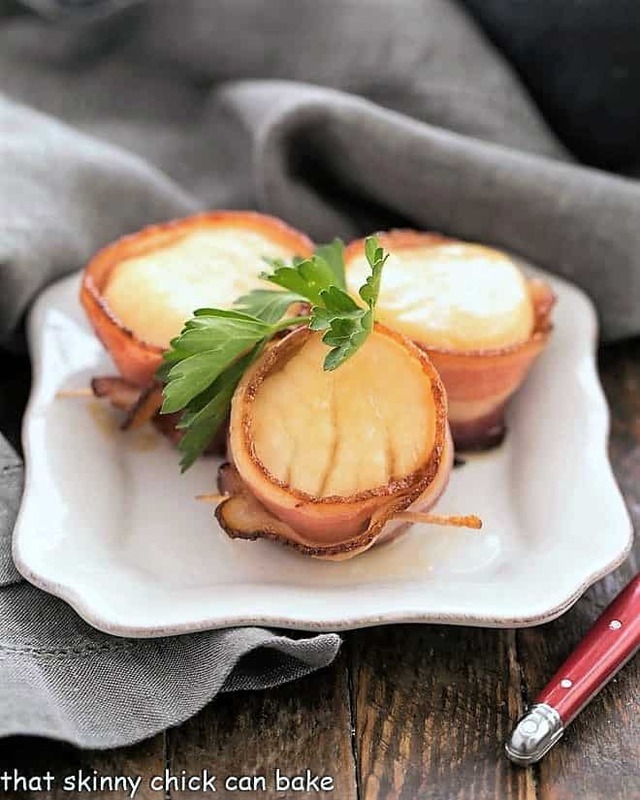 I have never had baked brie but I cannot wait to try it after seeing this mouth watering recipe. Merry Christmas, Liz! Lovely recipe, Merry Christmas dear. Yummy! This sounds amazing, I’m quite certain I could eat my weight in this! I love cranberry and brie together, and this is such a delicious way to enjoy them both. 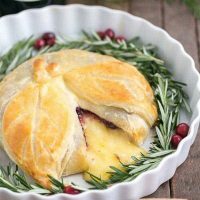 I love baked brie recipes and this one looks like a winner, that warm, sweet and tart cranberry sauce would be an excellent foil for the rich and creamy brie. I love that you also added some dried cranberries, so much texture. The leaf decoration on top is beautiful too. I wish you and your family an amazing Christmas and a happy and healthy new year. I want this at my new years party! 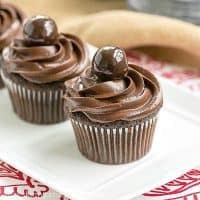 This is on my list of treats to make before spring and I’m really looking forward to it. 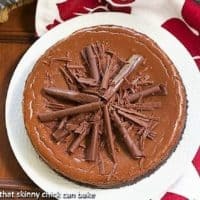 This is one of my go-to holiday recipes. So good! When I made this it was an instant hit! This is a total hit at our house! I’m definitely serving it to our guests next dinner party! The cranberry and Brie together was heaven! I love it! Really gorgeous! One of my favorite appetizers to serve guests.